There are three interesting items for sale on the Swansea Astronomical Society web site buy and sell page. They could be just what you are looking for. A tripod mounted Panasonic Lumix DMC-FZ72 bridge camera at 60x optical zoom was used to image the 92% waning, gibbous Moon. 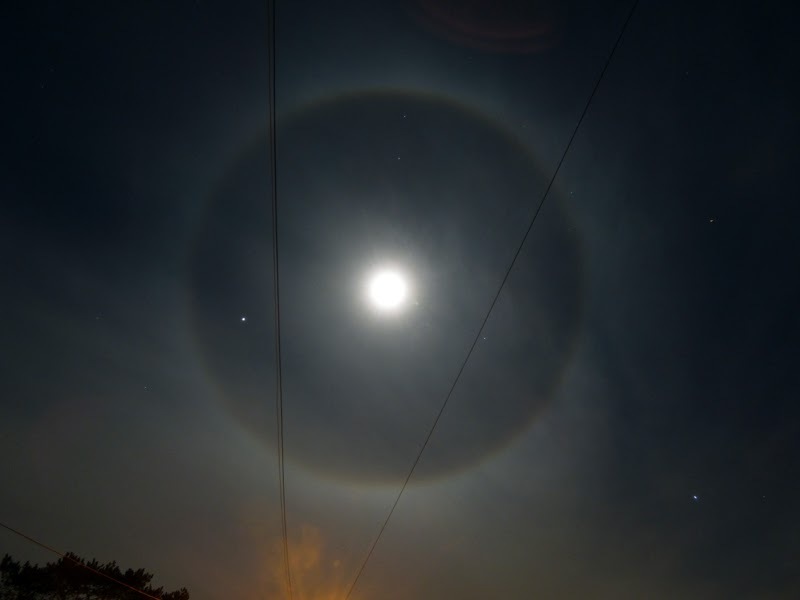 The camera was set to burst mode, ISO-100 and 1/320s exposure at f/5.9. Images were captured in bursts of three. 59 images, precisely cropped in Nicola Mackin's AstroCrop software were stacked and wavelet processed in Registax 6. Click on the image to get a larger view. 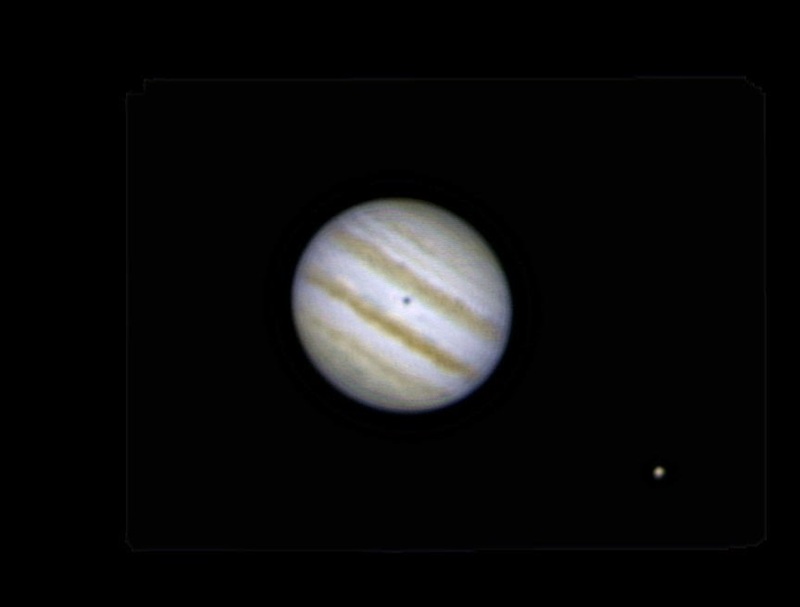 Jupiter with Ganymede and Jupiter with Europa. 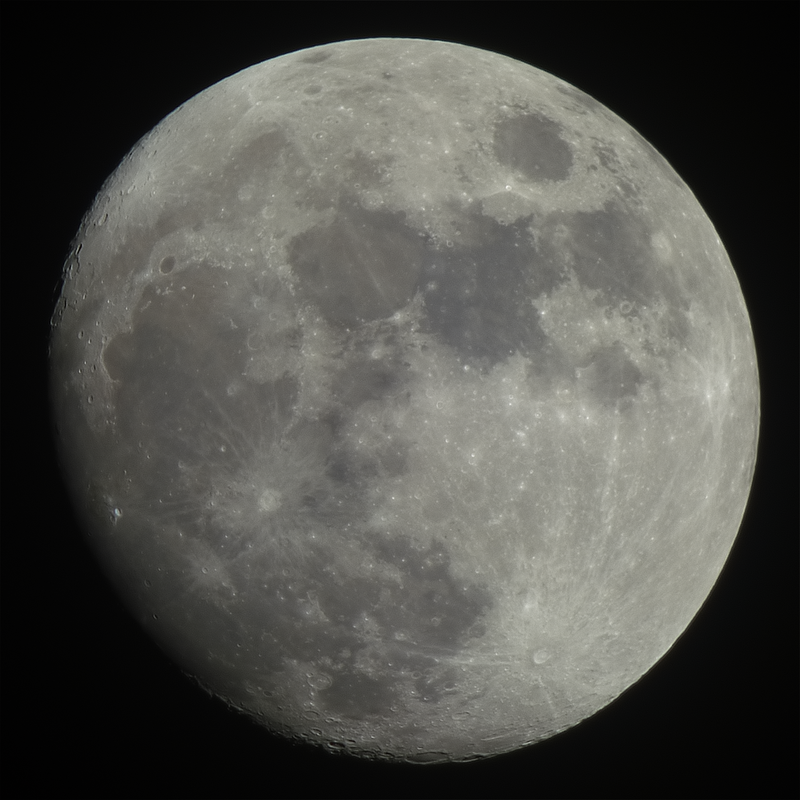 A tripod mounted Panasonic Lumix DMC-FZ72 bridge camera at 60x optical zoom was used to image the 96% waning, gibbous Moon. The camera was set to burst mode, ISO-100 and 1/640s exposure at f/5.9. Images were captured in bursts of three. 59 images, precisely cropped in Nicola Mackin's AstroCrop software were stacked and wavelet processed in Registax 5. Click on the image to get a larger view. 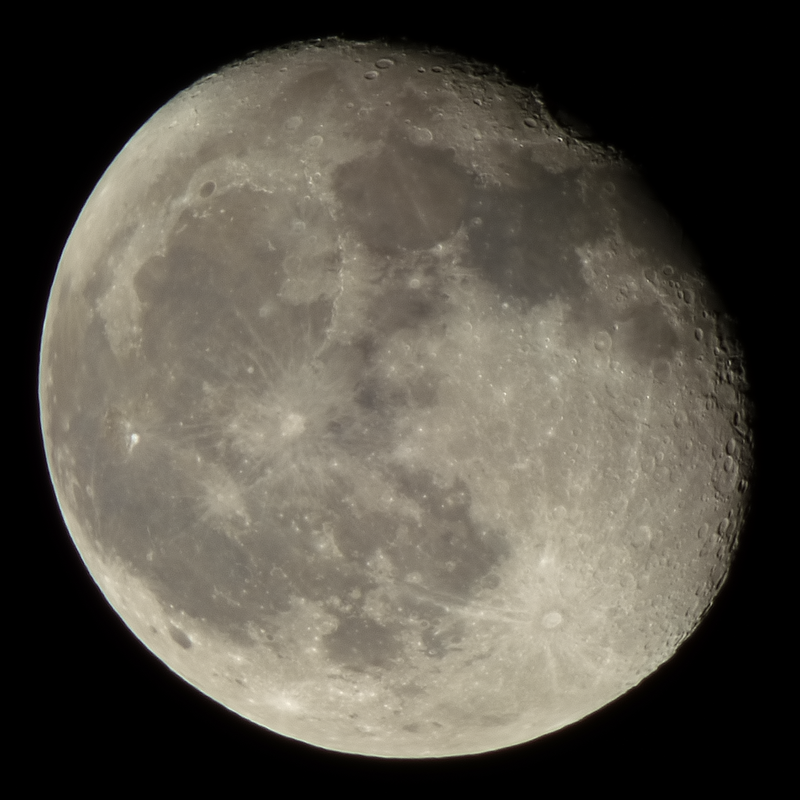 A tripod mounted Panasonic Lumix DMC-FZ72 bridge camera at 60x optical zoom was used to image the 99% waning, gibbous Moon. The camera was set to burst mode, ISO-100 and 1/800s exposure at f/5.9. Images were captured in bursts of three. 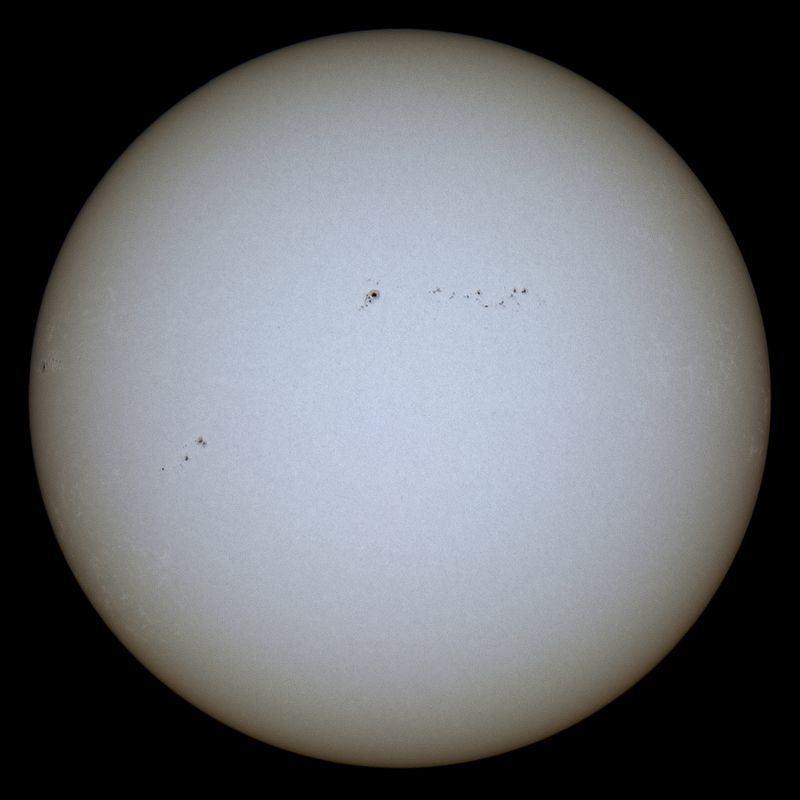 59 images, precisely cropped in Nicola Mackin's AstroCrop software were stacked and wavelet processed in Registax 5. Click on the image to get a larger view. 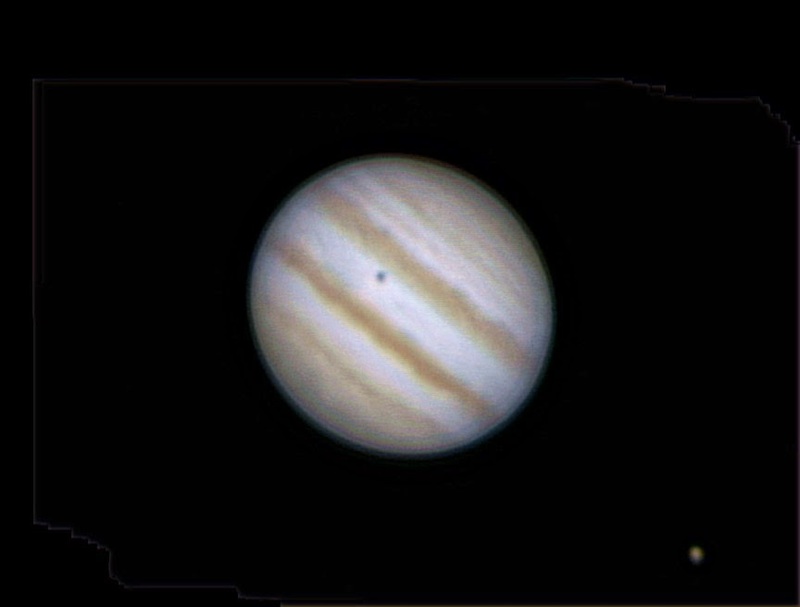 Celestron 9.25 SCT AVX, 2x Televue Barlow and 3x Meade Shorty Barlow, best 50% of 1800 images captured in WxAstroCapture, aligned and stacked in AutoStakkert!2 with wavelets in Registax. 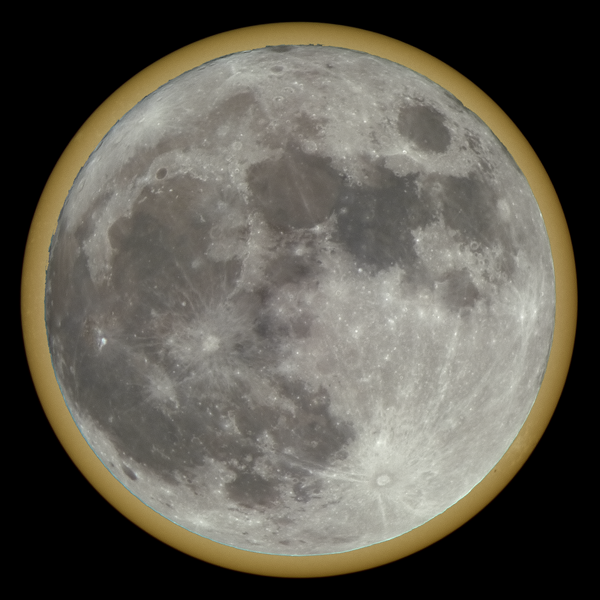 If the Full Moon had been a New Moon and had been directly between the Earth and the Sun, we would have observed an annular eclipse. The Full moon tonight subtends 0.4932 degrees, whilst the Sun Subtends 0.5408 degrees. A tripod mounted Panasonic Lumix DMC-FZ72 bridge camera at 60x optical zoom was used to image the Full Moon. The camera was set to burst mode, ISO-100 and 1/1000s exposure at f/5.9. Images were captured in bursts of three. 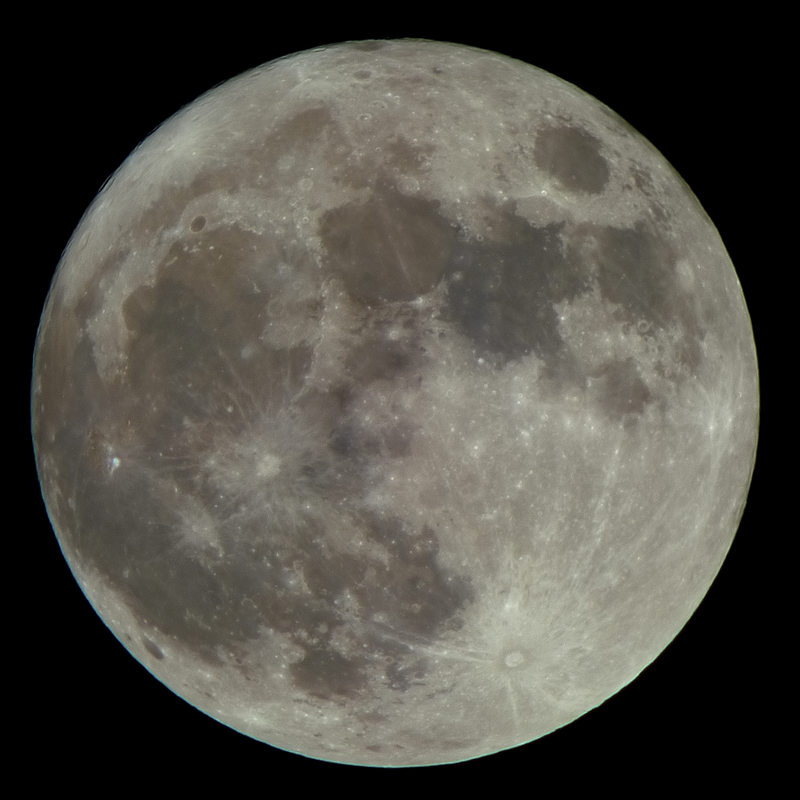 60 images, precisely cropped in Nicola Mackin's AstroCrop software were stacked and wavelet processed in Registax 5. Click on the image to get a larger view. 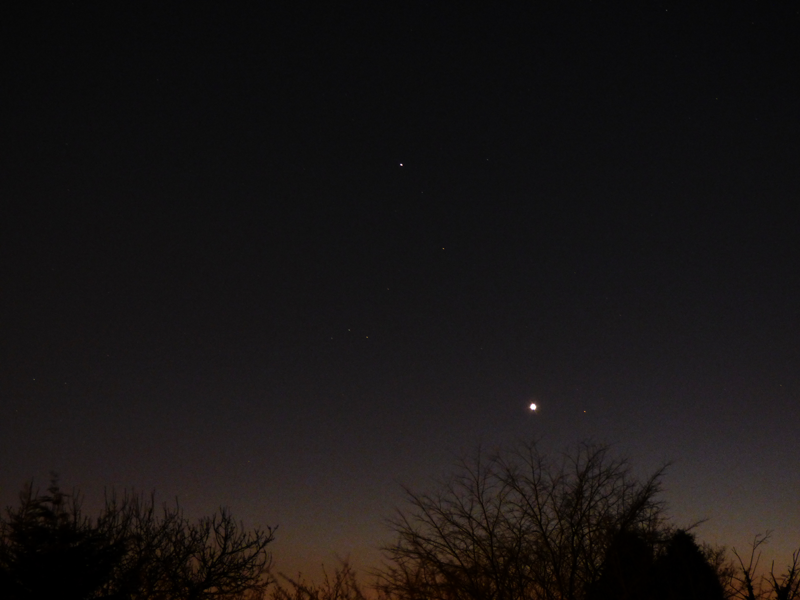 Jupiter with Callisto. 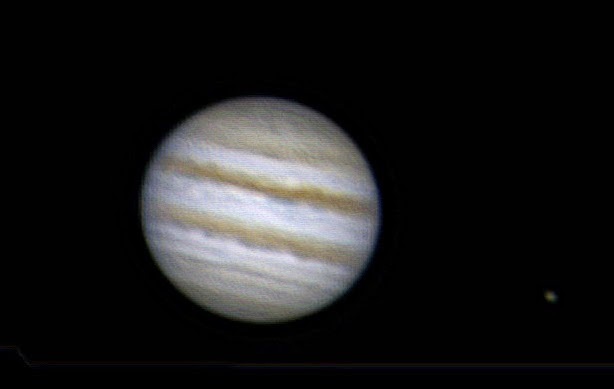 Celestron 9.25 SCT AVX, 2xTelevue Barlow, Phillips SPC900NC webcam, 502 frames captured with Wxastrocapture, 50% stacked and aligned in AutoStakkert!2, then wavelets in Registax6 and then cropped in Adobe Elements 11. 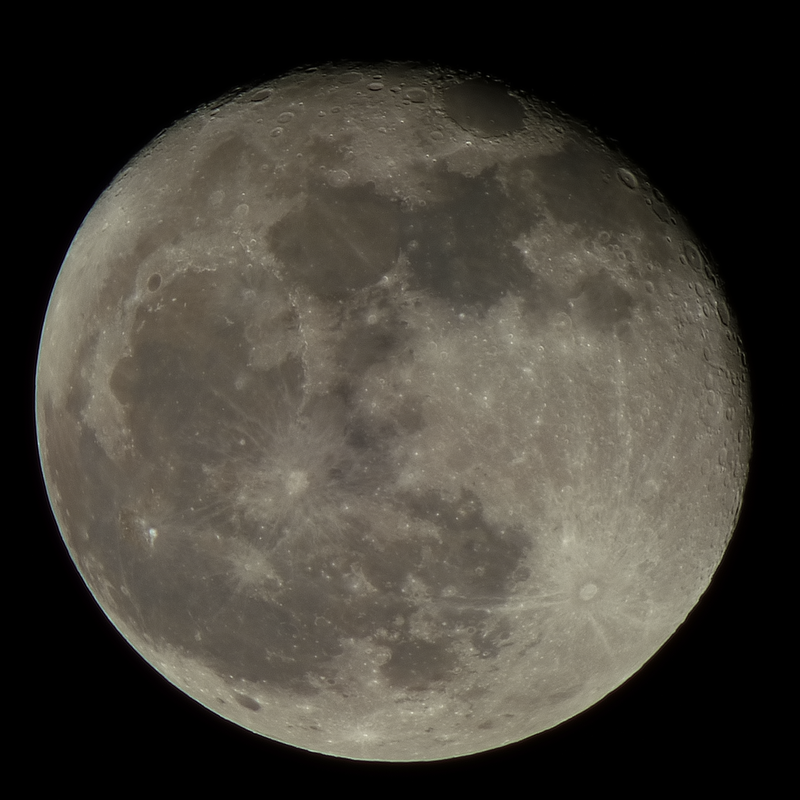 A tripod mounted Panasonic Lumix DMC-FZ72 bridge camera at 60x optical zoom was used to image the 96% waxing, gibbous Moon. The camera was set to burst mode, ISO-100 and 1/320s exposure at f/5.9. Images were captured in bursts of three. 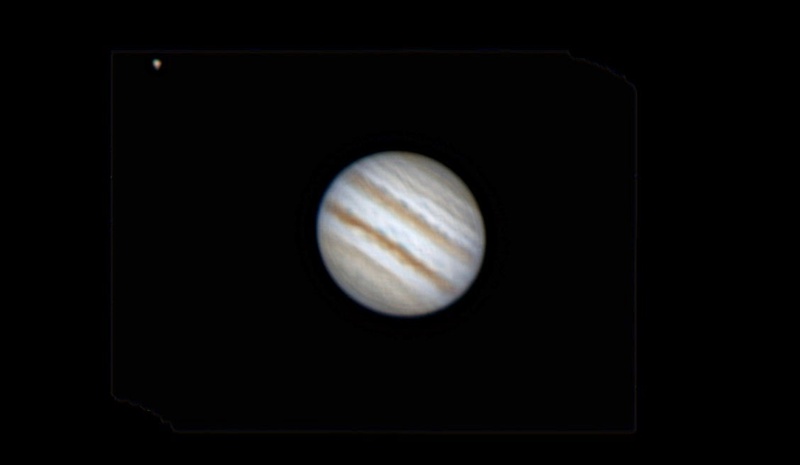 59 images were precisely cropped in Nicola Mackin's AstroCrop software, stacked and wavelet processed in Registax 5.